SOMAS butterfly valves helps to control your flow! 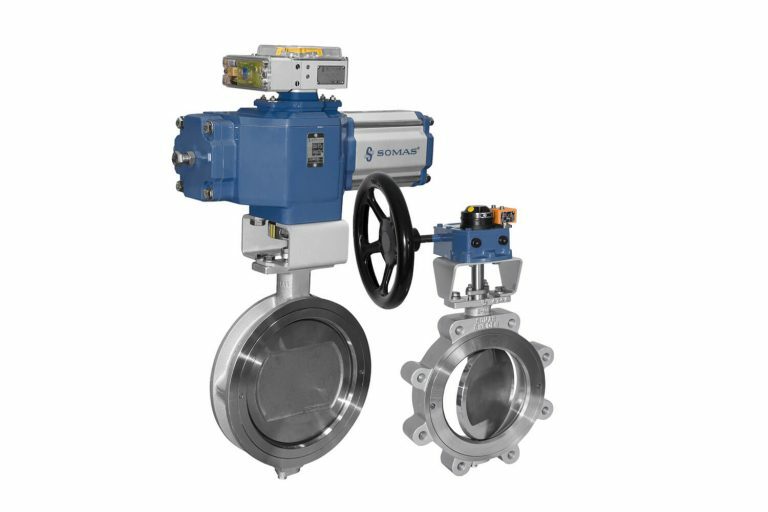 Steam, gas, water or other fluids, SOMAS butterfly valves can handle them all. The valves are made of high quality stainless steel with a homogenous metal seat. They are installed by mounting between flanges and are available both with and without lugs. 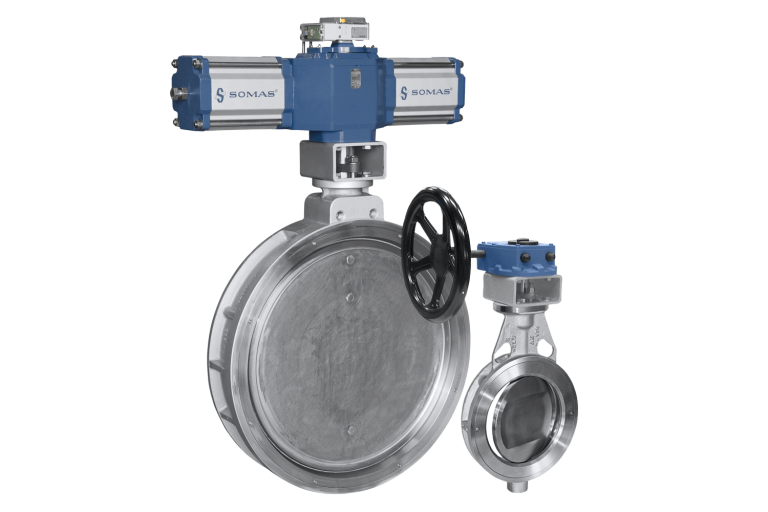 One of the biggest advantages of SOMAS butterfly valves is the fact that they can pretty much run as intended without the need for unwanted or unplanned maintenance. This is possible thanks to the design of the key components inside the valves. Many of our customers require that the valves can operate for long periods of time in between the regularly scheduled service sessions, because of this it is very important that all included parts of the valve meet these requirements. SOMAS butterfly valves come in two different types: VSS and MTV. Both feature our trademark triple excentric design. The design of the seat and the unique construction of the disc provides for excellent shut-off and more or less eliminates the need for maintenance. The high surface pressure between seat and disc makes the valve useful for pulp applications where the fibers are easily cut. The MTV butterfly valve is the most cost-efficient choice for control and on/off-applications. The universal design allows for a choice of many different materials during manufacturing of the valves. This broadens the field of application. The metal seat ensures that high-velocity flow will have no effect on the valves tight shut-off ability and allows for many years of operation. SOMAS butterfly valves are available with dimensions up to DN 1200 and pressure classes PN10 – 100. All our valves are tested for leakage and meets the requirements of IEC 534-4 Class V for valves with SS 2377-seat (Class VI for valves with PTFE-seat). A butterfly valve is useful for clean as well as contaminated substances; fluids, gasses and steam. For control installations, the valve is fitted with SOMAS pneumatic actuator and positioner. For manual actuation, the valve is fitted with a hand lever or gear. SOMAS butterfly valves are used in hundreds of thousands of installations in a variety of applications. Based on the experience gained from our many years of designing and manufacturing metal seated butterfly valves we are confident that our concept is the best on the market. This concept also serves as the base for our continued work on developing and improving our metal seated butterfly valves. Steam applications with a temperature around 600 degrees Celsius, applications dealing with diesel fumes and mass suspensions with a high fiber content are just a few examples of where a butterfly valve can be of use. Because of this wide area of potential use the requirements for this valve are high in regards to both its design and incorporated materials. By using a triple excentric design for the shaft and a homogeneous seat made out of stainless steel, we have plenty of options for using alternate stainless qualities depending on where or how the valve will be used. For more information about butterfly valves, or any documentation related to any of our other products or services please click below.